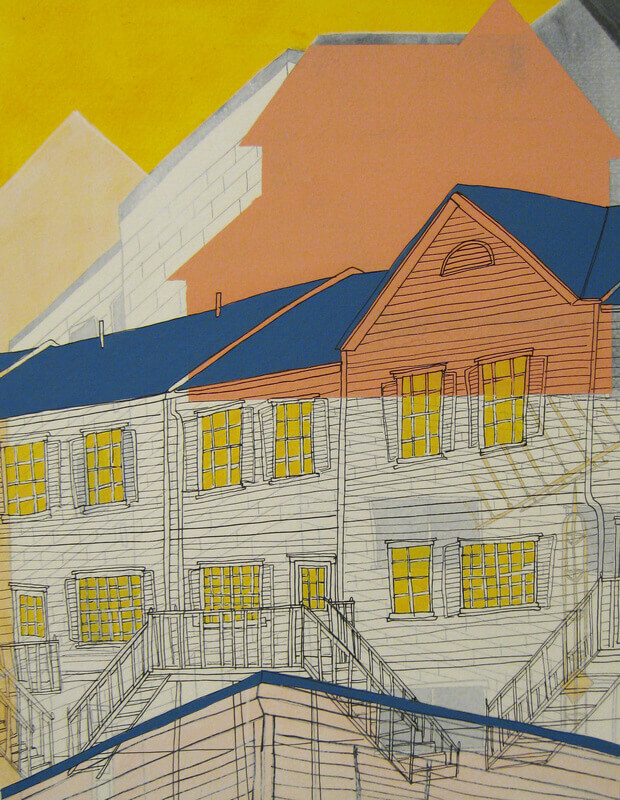 The Michael Phipps Gallery in downtown’s W. Dale Clark Library is currently featuring Sense of Home, the solo exhibition of Katie Temple, which continues till Aug. 28. Curated by Alex Priest, the exhibition combines multiple iterations and drawings of places Temple has lived, ultimately searching for the moment a place becomes a home. Temple grew up on a farm in rural Ohio. She received her BFA in Three-Dimensional studies from Bowling Green State University, Ohio in 2010 and relocated to Montana to achieve her MFA in Ceramics from Montana State University. During her time in Montana, Katie taught in the Foundations and Ceramics Department for 3 years. Her work has been featured in various national exhibitions, including being selected for the National Council on Education for the Ceramics Arts sponsored exhibition “NCECA National Juried Student Exhibition” in Seattle, Washington in 2012. In 2015, she moved to Omaha and now teaches art to at-risk youth in North and South Omaha. Sense of Home continues until Aug. 28 in the Michael Phipps Gallery at the W. Dale Clark Library, 215 S. 15th St. For details and hours, go to omahalibrary.org.